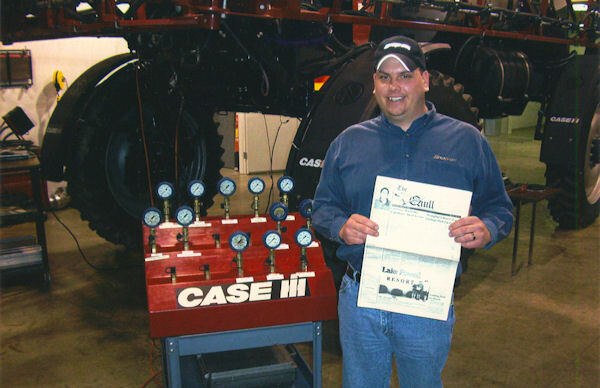 Aaron Magee of Raritan, took "The Quill" along to Memphis, TN, January 12-15, 2010 for Patriot Sprayer Technical training. Here he is in the classroom after completing his certification. Aaron is a service tech at Birkeys Farm Store in Macomb.